We are in the midst of Movember, and many thousands of Australian men are busily growing moustaches while raising funds for programs that support men’s health. It seems timely to take a look at the state of men’s health – particularly the health of men living in rural and regional/remote Australia – as well as initiatives designed to improve it. Men’s health – a global overview. Worldwide, men are living longer and healthier lives than ever before. Global life expectancy at birth in 2015 was 69.1 years for males, an increase of five years since 2000 – the fastest since the 1960s. However, a gap in life expectancy between the sexes persists (4.5 years in 1990 and 4.6 in 2015). The Global Burden of Disease Study (2013) suggests that, by 2030, women will be outliving men by an average of 7.2 years. Much of this excess mortality is due to lifestyle factors – including poor diet, sedentary behaviours, smoking and use of alcohol and other drugs — that are more prevalent in men than women. Men are also disproportionately burdened by conditions such as suicide, cancer and cardiovascular disease, particularly in younger age groups. In addition, men are less likely than women to visit health professionals, use health services or take part in preventive programs. Australian men are among the healthiest and longest-lived in the world. An Australian boy born in 2011–13 can expect to live to 80.1 years, compared to 47.2 years in 1881–90. Australian men’s life expectancy ranks sixth among OECD countries (Switzerland is number 1, at 80.7 years). In 2013, the mortality rate among men aged 15–24 years was twice that of same-aged women (49.5 versus 23.1 per 100 000, respectively). Transport accidents and suicide were the leading causes of death, with both occurring in men aged 15–24 years at over twice the rate as same-aged women (15.2 versus 5.0 and 15.1 versus 6.5 per 100 000, respectively). The leading causes of morbidity in young men in 2011 were alcohol-related disorders (6.7 per cent of all disability-adjusted life-years (DALYS), respiratory conditions (asthma 4.8 per cent, upper respiratory conditions 3.6 per cent) and mental illness (depressive disorders 5.3 per cent, anxiety 4.5 per cent). Disease and premature death in this young age group represents substantial costs to the community in terms of life-years lost and years lived with disability or illness. The leading causes of death in older Australian men (aged 45 years or more) are non-communicable diseases, such as cardiovascular diseases and cancers. Among men aged 45–64 years, the leading causes of death in 2010–12 were coronary heart disease (15 per cent), lung cancer (8.9 per cent) and suicide (5 per cent). In the same period, among men aged 65–74 years, the leading causes of death were coronary heart disease (14 per cent), lung cancer (11 per cent) and chronic obstructive pulmonary disease (COPD) (4.8 per cent). Morbidity in older Australian men in 2011 was also largely related to chronic non-communicable diseases. Among men aged 45–64 years, the top five causes of ill health were coronary heart disease (11.0 per cent of all DALYs), lung cancer (5.2 per cent), musculoskeletal conditions (4.9 per cent), back pain and problems (4.7 per cent) and suicide/self-inflicted injuries (3.1 per cent). Among men aged 65–74 years, the top five were coronary heart disease (13.0 per cent of all DALYs), lung cancer (7.5 per cent), COPD (6.7 per cent), diabetes (4.0 per cent) and bowel cancer (3.9 per cent). 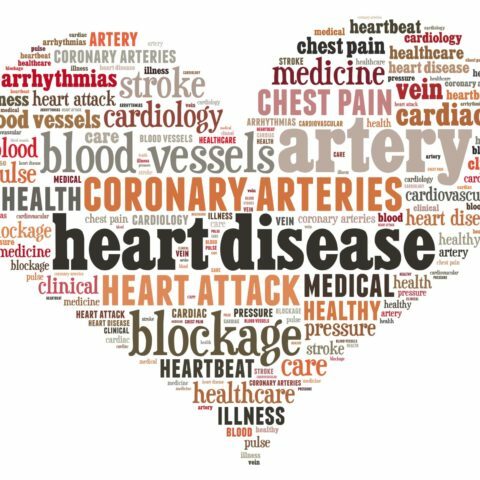 Coronary heart disease remained the number one cause of ill health among men aged 75+ years, while dementia, stroke and prostate cancer became increasingly important contributors to morbidity with rising age. The Australian Longitudinal Study on Male Health (Ten to Men). In 2011, with funding delivered under the first National Male Health Policy, a team of researchers commenced the Australian Longitudinal Study on Male Health. It is also known as Ten to Men, because it is examining the health and lifestyles of nearly 16 000 Australian males aged 10 to 55 years. 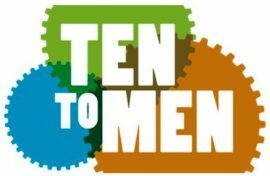 Ten to Men is a population-based study designed to build a strong evidence base about male health and to inform policies, programs and initiatives that promote health and support for males. Young men and rural males are being ‘oversampled’ to help increase our understanding of those smaller groups (although note that Ten to Men excludes remote and very remote areas, focusing on only major cities, inner regional and outer regional areas). The cohort is intended to be followed up every 2–3 years. A dose–response effect of remoteness means that the further adult men live from major cities, the more likely they are to live with the outcome of an injury, consume alcohol at harmful or hazardous levels or engage in insufficient physical activity. Ten to Men: urban–rural comparisons. Overall, 86 per cent of young men had drunk alcohol in the past 12 months, and 16 per cent of them drank in excess of two standard drinks per day (the upper limit recommended in the national guidelines for avoiding long-term alcohol-related health problems). However, a significantly higher proportion of young men living outside major cities reported drinking more than two drinks per day (major cities – 14.0 per cent; inner regional – 20.5 per cent; uuter regional – 19.1 per cent). Fewer young men living in outer regional areas (26 per cent) reported last-12-month marijuana use than those living in major cities (32 per cent). There was no regional difference in last-12-month use of other illicit drugs. Young men living in regional areas reported lower levels of physical activity than young men living in major cities (77 per cent), with those in outer regional areas reporting the lowest level (67 per cent). Half the young men residing in regional areas (inner regional – 49.4 per cent; outer regional – 49.3 per cent) were overweight or obese, compared to 40 per cent in major cities. 22 per cent reported suicidal ideation, and 7 per cent reported having attempted suicide. Region of residence was not associated with suicide attempts or suicidal ideation, indicating that suicidal behaviour is an issue for young men generally. Initiatives designed to improve men’s health. The Movember Foundation describes itself as ‘the leading global organisation committed to changing the face of men’s health’ and ‘the only charity tackling men’s health on a global scale, year round’. Its primary goal is to stop men dying too young. The moustache is Movember’s ‘ribbon’: men are encouraged to ‘grow a mo’ and use it to raise funds for men’s health. In 2015–16, nearly 70 000 Australian participants raised $20.3 million (the corresponding global figures were 485 720 and $85.2 million). 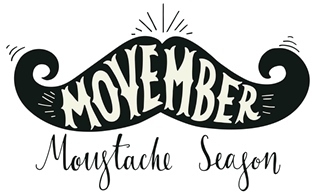 Movember focuses on raising funds to support research and programs to reduce prostate and testicular cancer, and prevent mental health problems and suicide. Over 75 per cent of funds raised are invested in research, support and prevention activities, including nearly $4 million in The Prostate Cancer Foundation of Australia and $1 million to beyondblue (a leading Australian mental health organisation) in 2015–16. In an earlier article we described several campaigns that encourage Australians to reduce their alcohol consumption. Participants in febfast forgo alcohol for the month of February while raising money to support young people experiencing alcohol and other drug-related problems. Dry July encourages participants to give up alcohol during July and raise funds for cancer patients and their families and carers. Ocsober encourages Australians to give up alcohol in October and raise funds to teach children to resist alcohol abuse. While not specifically aimed at men, these broad-based campaigns reach thousands of men and raise awareness in many more. Evaluations suggest that participants reduce their alcohol consumption substantially, feel better as a result, and that the benefits persist. The Men’s Shed movement developed in response to the recognition that many men find it difficult to talk about feelings and emotions, take little interest in their own well-being and consequently suffer unnecessarily from ill health, isolation, loneliness and depression. Men’s Sheds are safe and engaging environments in which men can be productive, connect with friends and maintain active bodies and minds ‘in an atmosphere of old-fashioned mateship’. The Australian Men’s Shed Association (AMSA) is one of Australia’s largest male-based community development organisations. The movement has grown rapidly: in 2005 there were an estimated 200 Men’s Sheds nationwide, whereas in 2016 ASMA represents over 950 Sheds with at least 22 500 members (‘Shedders’). A recent evaluation of AMSA showed that Shedders believed Men’s Sheds enabled them to make new friends and give back to the community, alleviating social isolation. Shedders nominated keeping mentally healthy as their top health priority, followed by keeping physically healthy, knowing where to seek help if needed and knowing the warning signs of ill health. This three-part ABC TV documentary series and social awareness campaign grew out of one man’s pain following the loss of a close friend due to suicide. Gus Worland, co-host of the Sydney Triple M Grill team and ‘unofficial bloke expert’ talks and listens to men for a living and campaigns for their welfare. In Man Up, his mission is ‘to find out what it really means to be a man today and how the average Aussie bloke is actually faring’. Man Up, like Men’s Sheds and Movember, is an example of the new, more open Australian approach to male well-being. The series evokes the grief and pain Gus experienced after losing his mate, and follows him as he travels Australia in search of solutions to the suicide problem, including creating a campaign intended to turn men away from suicide and effect social change. 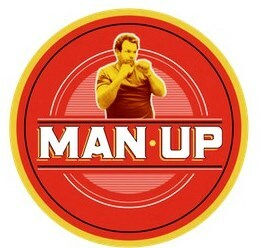 The Man Up website anchors the ideas presented in the series. It offers many resources designed to help prevent men’s mental health problems and suicide, including a Man Up study guide for young men in middle and upper secondary school. Excessive alcohol consumption remains a problem for men living in rural and regional Australia, particularly young men, and is a contributor to obesity, another major health issue. Other chronic conditions, such as coronary heart disease, are influenced by lifestyle factors such as insufficient exercise, which is also a disproportionately large issue for rural and regional men. 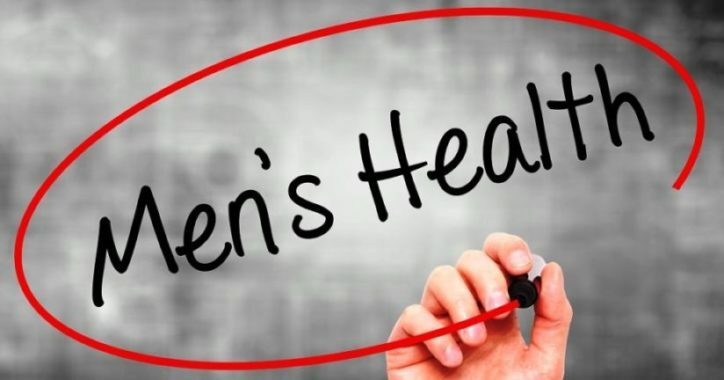 Recognition of the disparities between women’s and men’s health in the National Male Health Policy and initiatives such as Ten to Men and Men’s Sheds are positive developments, as are the rise of campaigns that encourage men to think about their own health and make positive changes. Nevertheless, men’s increasing ill-health with increasing remoteness from a capital city is something of concern to communities and health services, alike. Men living in rural and regional/remote Australia deserve greater attention and service provision to reduce health inequalities.